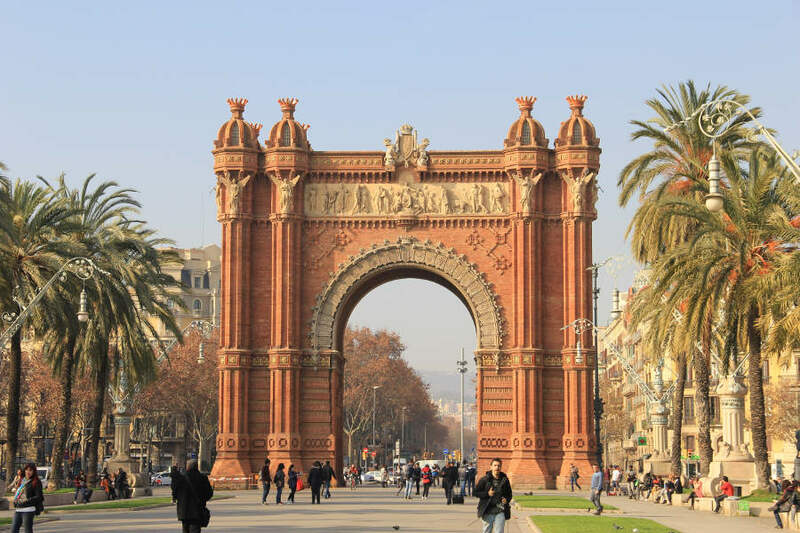 This tour originates from Barcelona. Price start with ₹86500 per person. 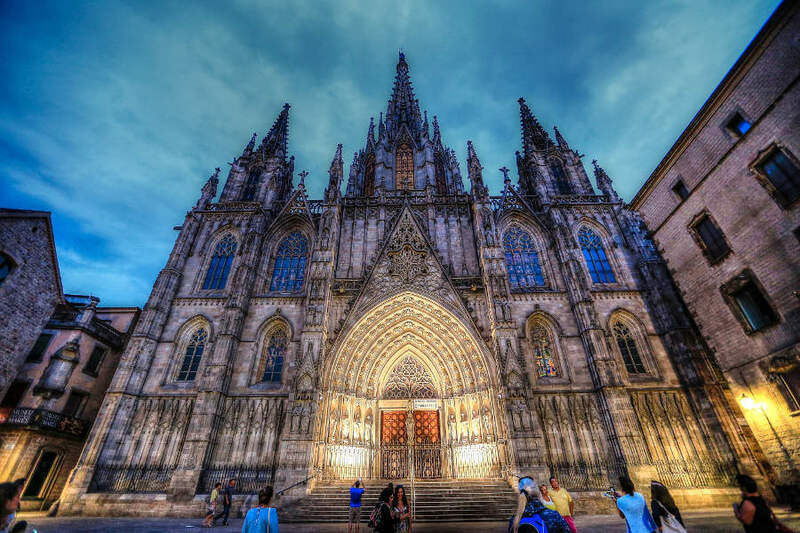 Use the form below to inquire about Offbeat Spain - Barcelona and Beyond . Use the form below to reserve for Offbeat Spain - Barcelona and Beyond . 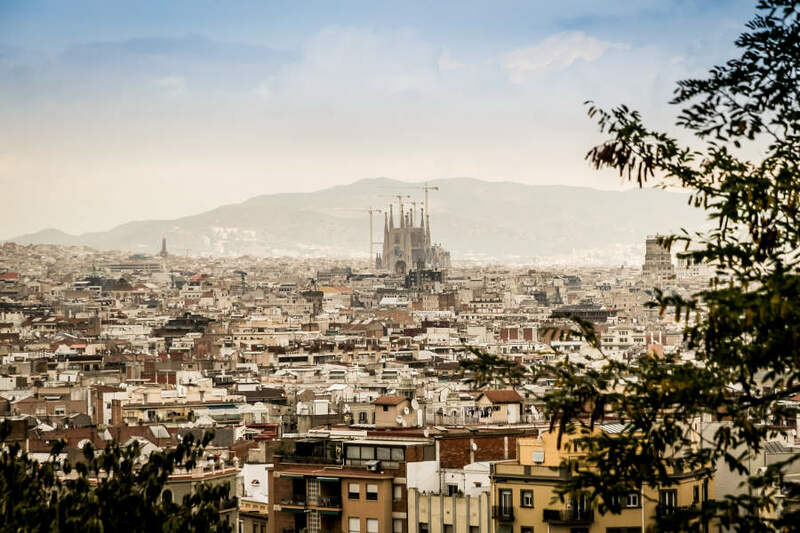 Experience offbeat Spain in the enchanting seaside city of Barcelona, in Ibiza’s surprisingly peaceful side, and in the energy of Madrid. The deep blue Mediterranean beckons. 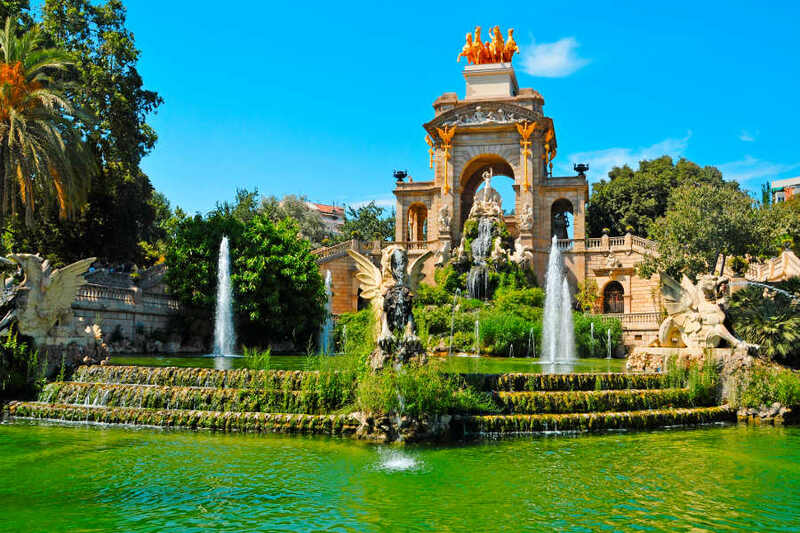 Sun-drenched beaches, towering temple columns, ancient city walls, lively nightlife, rich repositories of European art and mouthwatering food is what you get with Barcelona and Beyond. Experience this side of offbeat Spain. The best time to travel in Spain is spring and fall because that is when good weather occurs. The months of April, May, June, September, and October are very good for travel. Summer is quite hot, especially in inland cities like Seville, Cordoba, and Madrid. The months of July and August are very crowded in resorts along the Mediterranean, so early reservations for hotels are required for these areas. Upon your arrival at Barcelona airport, you shall be transferred by shuttle from the airport to the hotel. 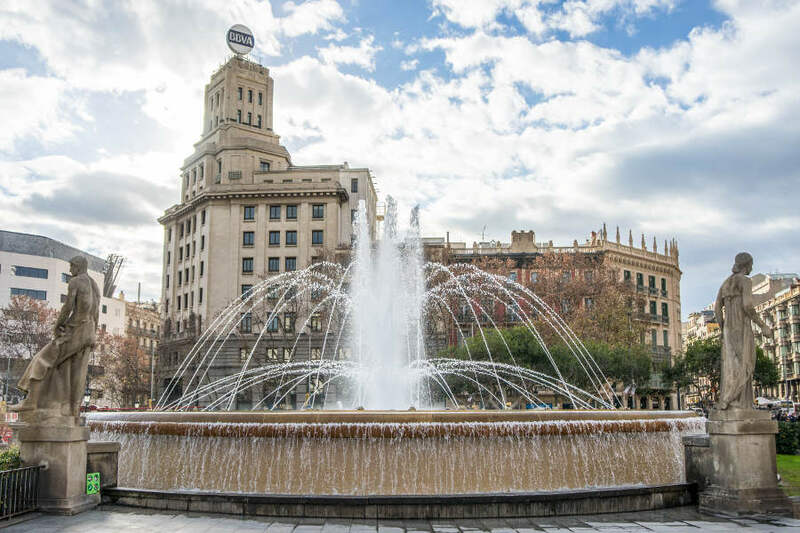 After check-in, proceed for Barcelona sightseeing on a hop on- hop off bus. 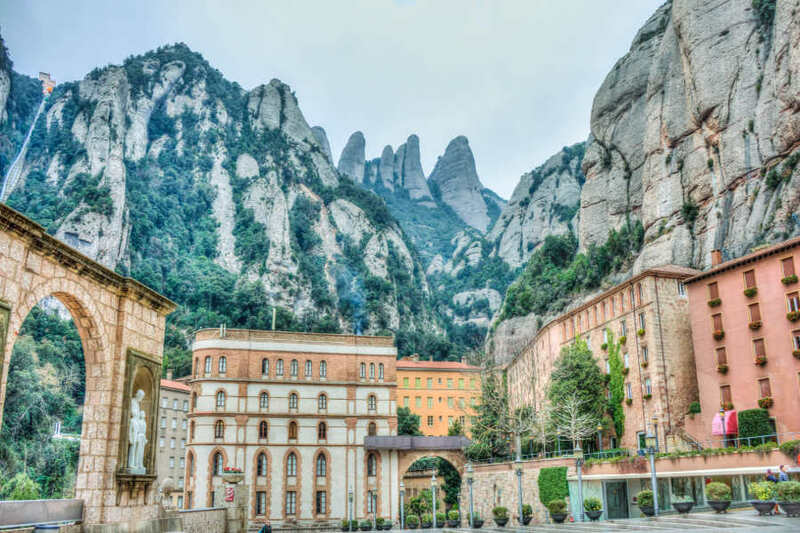 After breakfast at the hotel, proceed for half day Montserrat excursion on SIC basis. Montserrat, the holy mountain, with weird shapes and rounded peaks that jut into the sky offers impressive views. An almost 1000-year-old monastery hosts the oldest boys' choir in Europe. (This is located 1 hour driving from Barcelona). Overnight stay at the hotel in Barcelona. After breakfast at the hotel, you shall be transferred by shuttle to the airport for the flight to Ibiza. Upon arrival, private transfer from Ibiza airport to the hotel. You shall have the day at leisure to enjoy the island. Overnight stay at the hotel in Ibiza. After breakfast at the hotel, proceed for a half day excursion around the island on SIC basis. This tour will help you to discover the most picturesque places on the island, with special emphasis on the natural sites and cultural attractions. Santa Eulalia, Punta Arabi, Portinatx, San Antonio, San Jose, Sa Caleta, and Salinas. After the leisure time for lunch proceed for a visit to the Hippy Market at Es Cana or to the popular market of “Las Dalias”. A mixture of exquisite beaches and historical architecture, of old traditions and never-ending parties, there is always something to do in Ibiza. After breakfast at the hotel, leisure time to discover the beauty of the island by oneself. 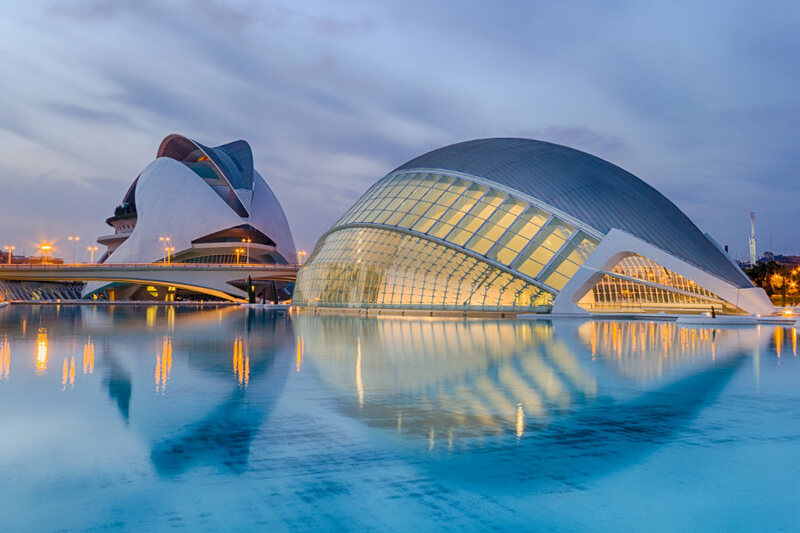 The port city of Valencia lies on Spain’s southeastern coast, where the Turia River meets the Mediterranean Sea. It’s known for its City of Arts and Sciences, with futuristic structures including a planetarium, an oceanarium, and an interactive museum. After breakfast at the hotel, you shall be transferred by a private vehicle to Ibiza airport to take the flight to Valencia. Upon arrival, private transfer from Valencia airport to the hotel. Later proceed for Valencia sightseeing based on a hop on- hop off bus. After breakfast, private transfer to Valencia train station to take the train to Madrid. Upon arrival shuttle transfer from Madrid train station to the hotel. Later proceed for Madrid sightseeing based on a hop on hop off bus. The tour highlights show the history of the city from the old Habsburg and bourbons quarters to the present city: Gran Vía, Plaza de España, University, Moncloa, Habsburg old quarter, Calle Mayor, Puerta del Sol, Puerta de Alcalá, and the Real Madrid stadium, Santiago Bernabéu (tour of the stadium available). After breakfast proceed for half day Toledo excursion on SIC basis. Toledo is one of the Spanish cities with the greatest wealth of monuments. known as the “city of the three cultures”, because Christians, Arabs and Jews lived together there for centuries, Toledo is a cultural jewel declared a world heritage site. (Toledo is at a distance 70 km from Madrid). After breakfast at the hotel, check-out and based on the flight timing. You are on leisure time to enjoy the city. Go shopping on the ever so lively Calle Fuencarral or Gran Via to finish your trip in style.